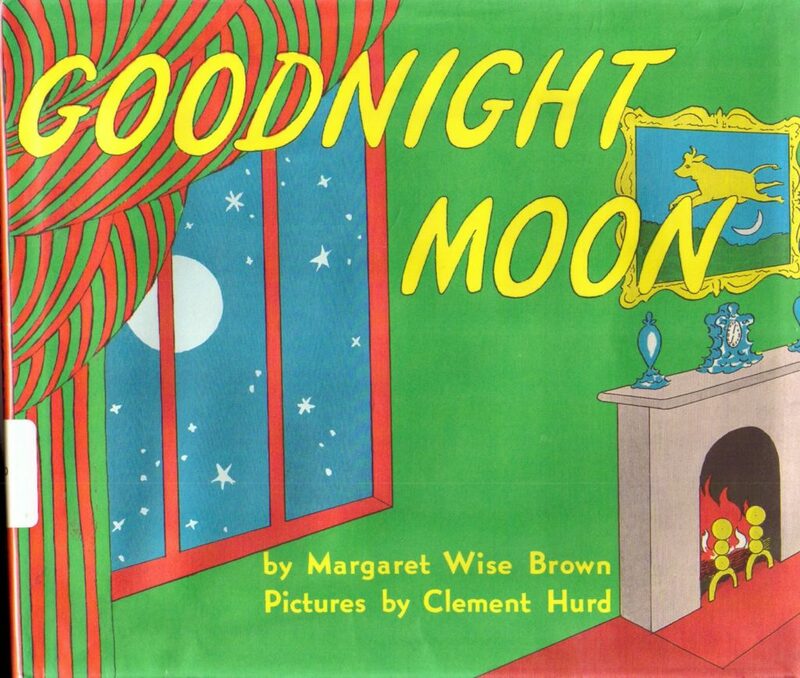 As a dad, I treasure a well-crafted, uplifting gem of a book like Goodnight Moon by Margaret Wise Brown, Pictures by Clement Hurd. It’s the kind of children’s book that just feels good to read out loud to your kids. Plus, the illustrations in Goodnight Moon offer a secret puzzle for the attentive reader – or if you, like me, have read the book 1001 times and you find your tired eyes wandering over the pages. Beyond Brown’s lilting, hypnotic phrasing, and her clever and funny rhymes, the mouse, lighting, and moon illustrations by her partner Clement are even better than you knew! The drawings (more than most other children’s books) accurately reflect the real world changes happening over the time it takes the bunny (child) to fall asleep: the clock’s hands advance in believable increments, the moon rises and illuminates different areas of the room, and the mouse explores. This site profiles and dissects Hurd’s eminently likable line drawings and discovers a rare and captivating attention to moon detail. Here is a master of children’s illustration deploying the highest level of observational, scientific knowledge and gifting it to children (and their bleary-eyed) parents down through the ages. Next time you find yourself “In the great green room”… take a closer look at the illustrations in Goodnight Moon and witness an intricately interwoven story being told in miniature; silent, like a mouse in moonlight. Those small changes in that book are what keeps me going back as a parent. I’ve always loved that book because of the calming phrasing, but also those small, barely noticeable changes. They’re like life and the universe itself. Great post! Thanks for the feedback Scott!